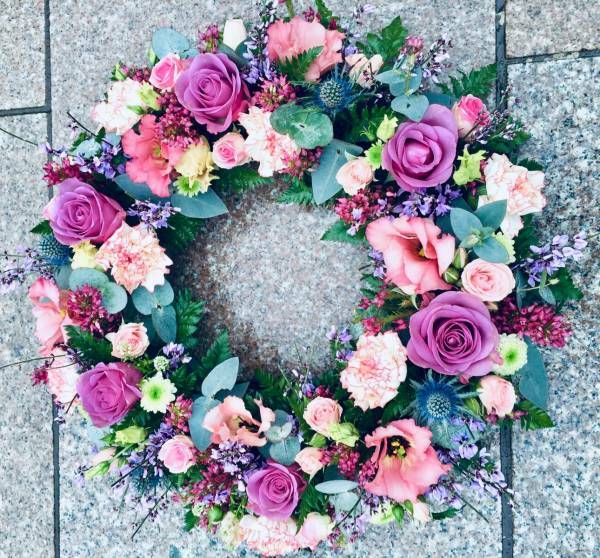 Open sympathy wreath adorned with seasonal blooms in pretty pinks and mauves, eucalyptus and glossy green foliage. 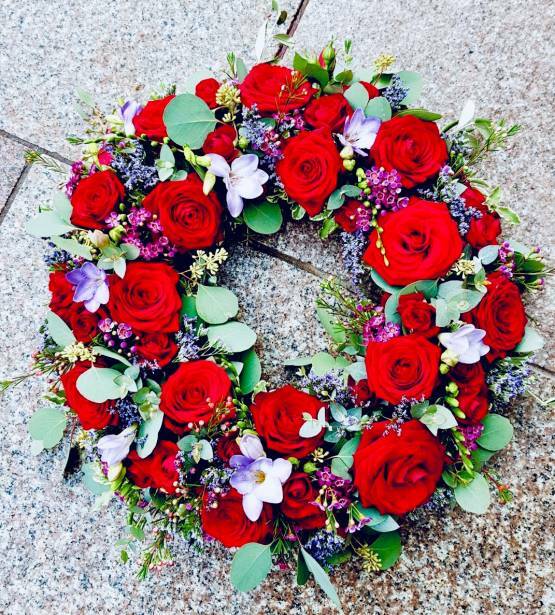 A fitting sympathy tribute for family and friends of loved ones. 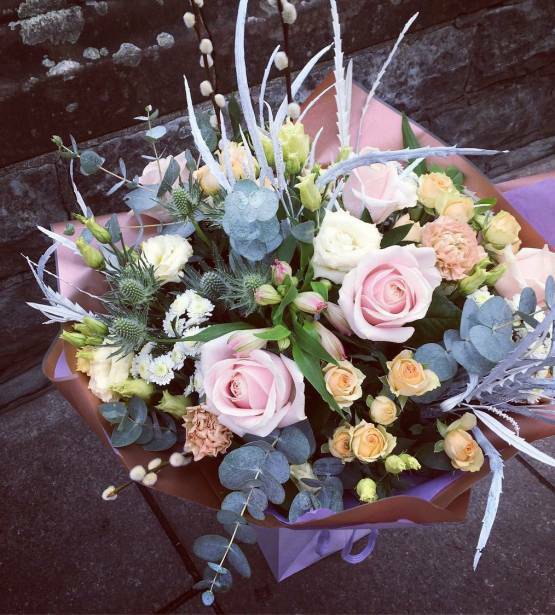 DELIVERY: Sympathy tributes are available for local delivery between 9am and 5pm, Monday to Saturday within the following postcodes only: CF3, CF5, CF10, CF11, CF14, CF23, CF24, CF64. 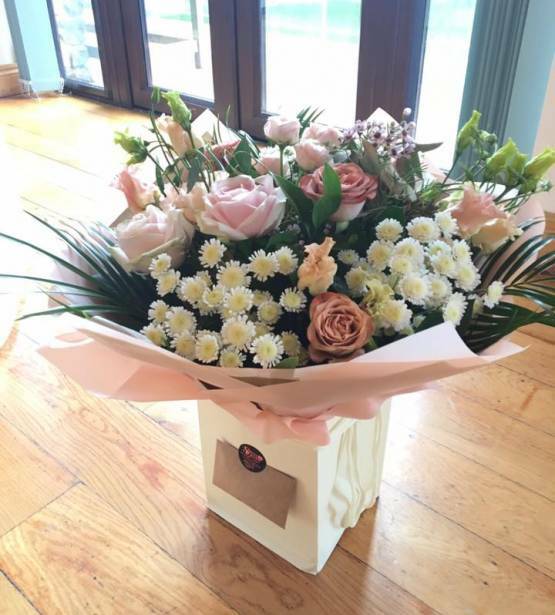 We also offer same day delivery at £7.95 if you book before 1pm.